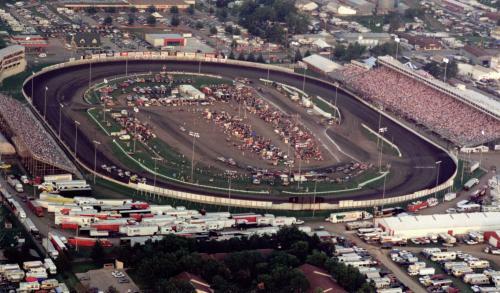 Jocko’s Sprint Parts has been providing trackside service at the famed Knoxville Raceway for the last 17 years. We’re very proud to be at such an awesome facility for each and every sprint event. This is where we’ve met many of our customers when we’ve had the part they needed at the track & they have continue to call us for parts after they return home. Over the years we have learned what race teams need at the track. From stopwatch batteries to a complete rear end, our truck and trailer is loaded with new merchandise to serve the racer’s needs. Our prices are the same super competitive prices you’ll always find at Jocko’s. From time to time we even run sales and specials right at the track and we are always open at least an hour after the last checkered drops to serve customers from the stands or those teams that need to prepare for the next race on their schedule. CALL AHEAD FOR FREE TRACK DELIVERY! If you’re coming to Knoxville and need parts, give us a call and we’ll be sure to have what you need with us and save you any freight costs. We can also pick-up your quick change that needs service and usually have an extra truck available for a frame that may need repair. Our Saturday race day schedule is like this: We open the store in Carlisle at 9am and are there until 1pm. Then we have our traditional Mexican lunch from 1pm to around 2:30pm. We return to the store to hook up the trailer and take any last minute calls from 2:30 until we leave for Knoxville around 3:45pm. We’ll usually be in our spot (off turn 2) and ready for business by 5:30 each night. During Knoxville Nationals and multiple day events we leave our rig in the infield and restock it each day. On the morning following a race we still open our store from 9am to 1pm and then head back to the track in the late afternoon. Try to call us anytime you need parts. If we’re here we answer ! To all our trackside customers that gave us our start and still trust us to be their number 1 supplier. We sincerely appreciate your loyality and support.